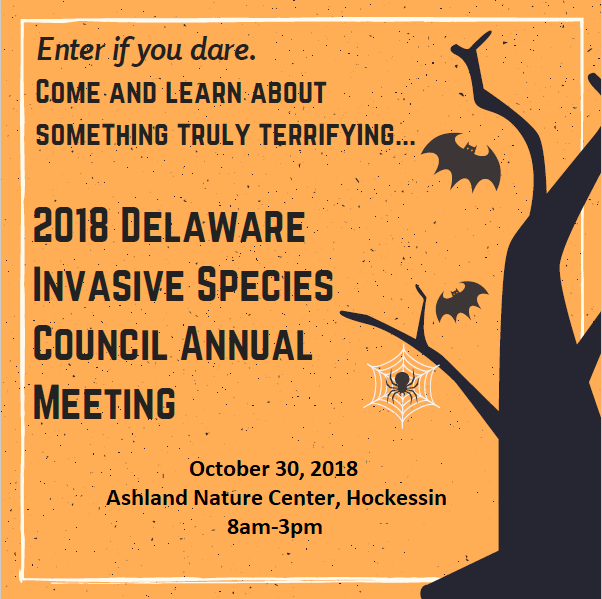 2018 Annual Meeting – Delaware Invasive Species Council, Inc. Deadline is October 12, 2018! Join DISC for the 2018 Annual Meeting and Conference! 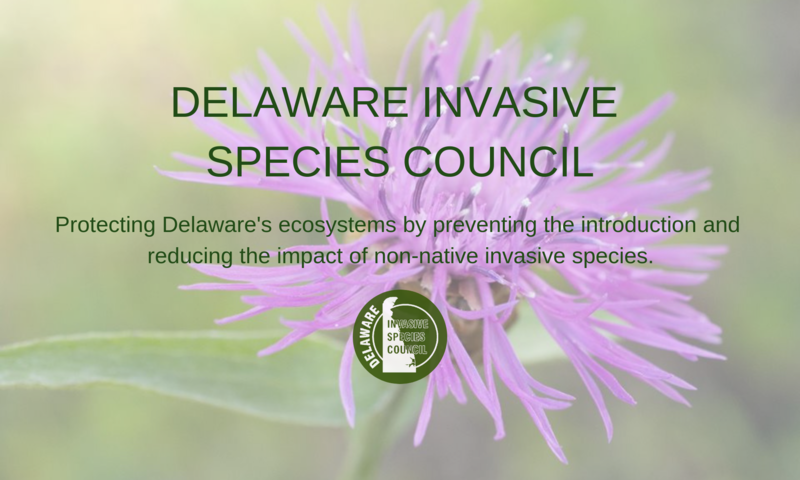 The Delaware Invasive Species Council’s annual meeting covers a full range of invasive species, including aquatic and terrestrial plants, animals and pathogens that impact native species and threaten Delaware’s natural resources, economy, an quality of life. Join government agencies, academic institutions, non-profit organizations, community leaders and others in strengthening awareness of invasive species prevention and management through information sharing and collaboration at the meeting! For the afternoon sessions we have coordinated with our partners to provide field tours. Click here for field tour descriptions and make your selection when you register. Space on each tour will be limited, so please only attend the field trip you sign up for during registration. Delaware pesticide credits are available! 3.00 credits will be awarded (after the field trip!) for the following categories: Forestry 02, Ornamental & Turf 03, Aquatic 5A, and Core/Private Applicator PA. Registration opens at 8:00 am and the conference will kick off at 8:30am sharp. Lunch is included in registration fee. Space is limited. Registration at the door not available. Agenda will be posted once finalized.